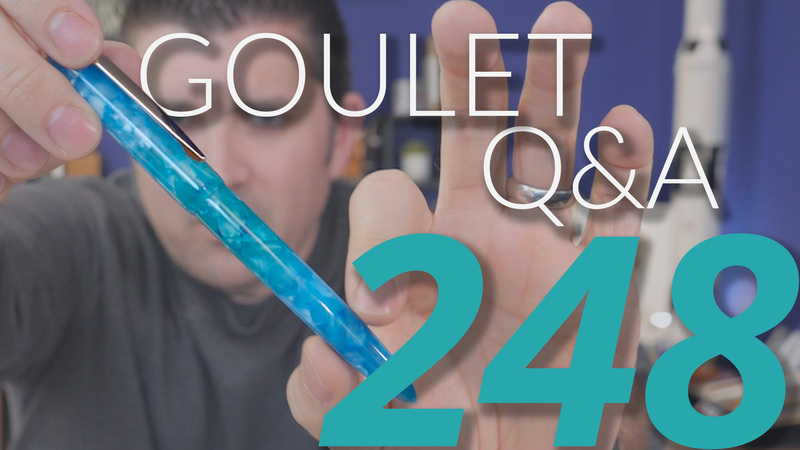 Goulet Q&A Episode 169: Pens As Wedding Gifts, Which Pens Fit Goulet Nibs, and One Pen I’d Never Recommend To Anyone! 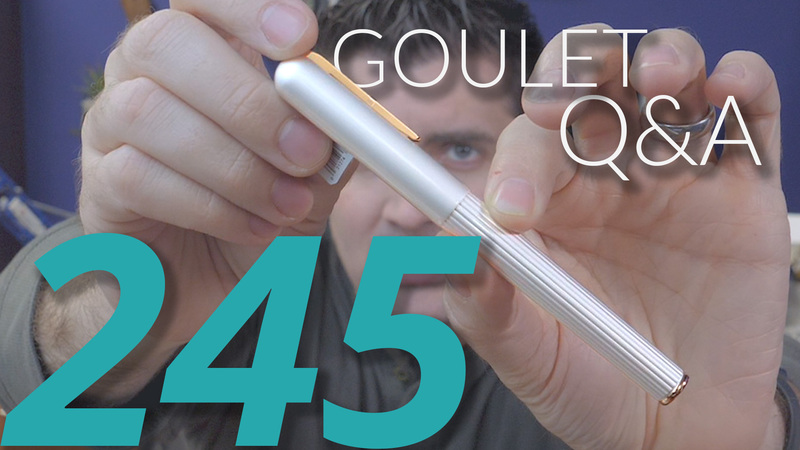 In this episode, I talk about pens for wedding gifts, which pens fit Goulet nibs, and the pen I’d never recommend to anyone. I want to give pens as a wedding present. The couple appreciates good stationery but have never tried fountain pens. 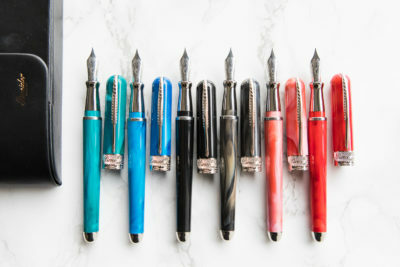 Are there any “couple” pens, or pens thematically matched in a set of two? If not, what two pens complement each other very nicely (aesthetically)? Hi Brian, you talked a brief second about omas 360 being a triangular pen, besides the standard round/cigar shape and the omas, what other shapes are out there? Thanks for the great work. 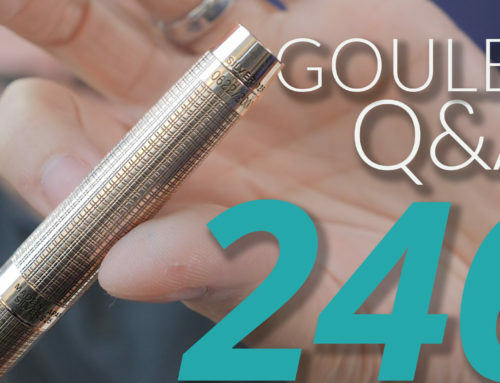 How does Brian feel about the switch Visconti is making from the Lava Homo Sapiens to the “resin” design? 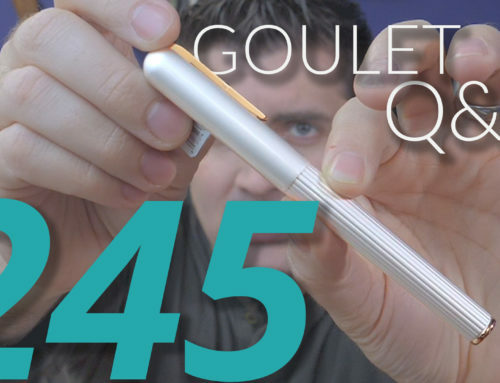 Do you feel it takes away from the “grail” status of the pen? 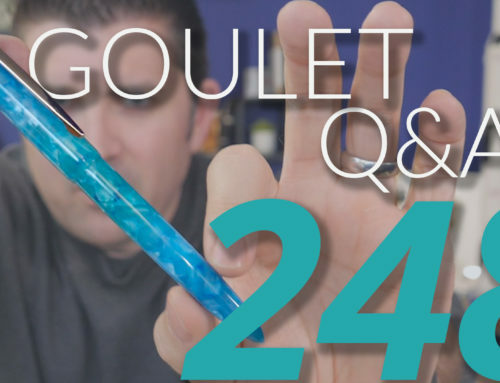 What pens can use the Goulet nibs? Why most brands include only blue cartridges with the pen? Why not black for instance? Big fan of yours! Thanks! 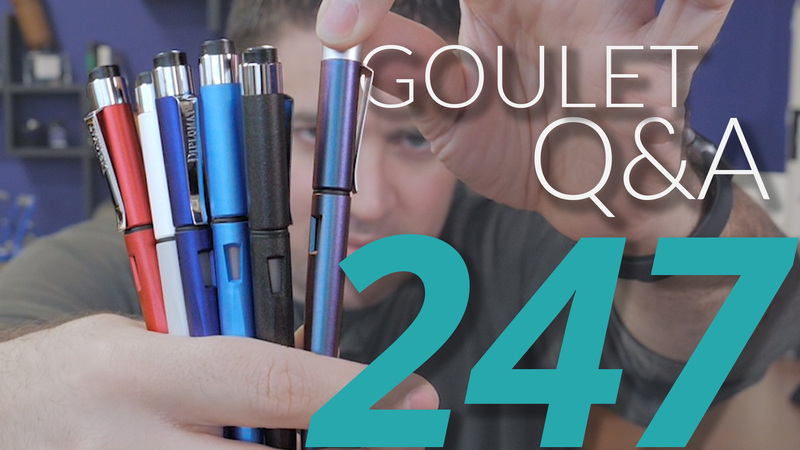 Will you ever be getting Sailor inks and pens in stock? Thanks so much for joining us this week! 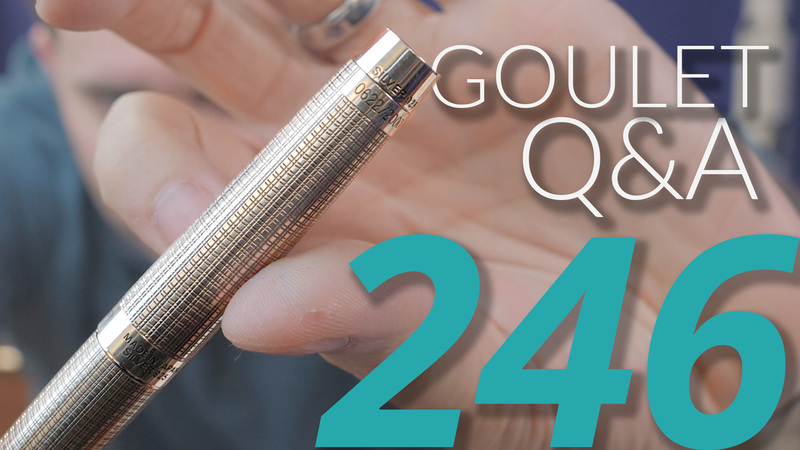 You can catch up on any old Q&A videos you missed here.